The use of flexible LED strip lights is rapidly rising in modern lighting design around the world. Architects and lighting designers are implementing flexible LED strip into residential, commercial, and industrial projects at an increasing rate. This is due to an increase in efficiency, color options, brightness, and ease of installation. A homeowner can now design like a lighting professional with a complete lighting kit and an hour or two. 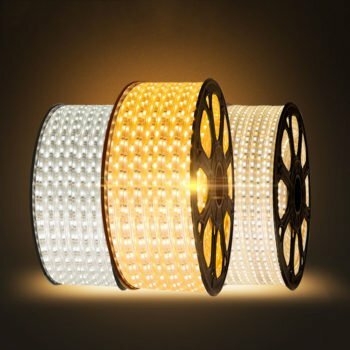 There are many options on the market for LED strip lights (also called LED tape lights or LED ribbon lights) and there is no clear-cut standard for how to choose flexible LED strip.